UNESCO's World Heritage Committee (WHC) is concerned about mining and logging under a draft management plan for Tasmania's World Heritage Area. It wants the plan changed, and has stated that mineral exploration and exploitation is incompatible with world heritage status. 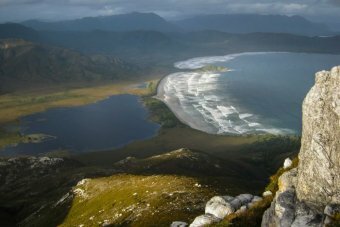 The Tasmanian Government is trying to change the way the state's 1.5 million hectare World Heritage Area is managed. The existing management plan divides the area into four zones, while the new draft plan replaces the wilderness zone with a remote recreation zone. In Paris overnight, UNESCO's WHC urged the draft plan be changed. An initial review cited concerns that the plan appeared to create potential for logging operations and mining activity in the World Heritage Area. It is also concerned that there is no clear identification of the area's cultural value. A planned survey of the cultural attributes of Tasmania's World Heritage Area is due to be completed in 2018. In its review of the draft management plan, the WHC said it had "repeatedly called" for a definition of the property's cultural value. The committee recommended a mission of international experts be invited to Tasmania to review and provide advice for a survey and the revision of the draft management plan before any moves to finalise it. Vica Bayley from the Wilderness Society said UNESCO delivered a damning rejection of Tasmania's draft management plan. "It's a wake-up call that we have to get it right, we have to completely withdraw and redraft the management plan and we have to get on with the job of honouring the committee's request to engage with the Aboriginal community and properly understand and study the cultural heritage values of this area," he said. Mr Bayley said it was uncommon for UNESCO to recommend sending a monitoring mission. "I think that's significant in that it signals the committee has deep concerns over the management direction of the Hodgman Government, and that it wants to send its team out here to give advice and to assist with the development and finalisation of the management plan," he said. "It demonstrates that the committee, I think, has lost confidence in the way Tasmania's wilderness World Heritage Area is being managed." UNESCO last year rejected a bid from the Federal Government to delist more than 70,000 hectares of forest from the World Heritage Area. The State and Federal Governments have been contacted for comment. The Wilderness Society has today called for an immediate investigation from world-leading wood certifier the Forest Stewardship Council (FSC) on how UK-based auditor Soil Association Woodmark gave FSC endorsement to Western Australian logging company FPC, which is logging old-growth karri forests in south-west WA. “Supporters of the Western Australian Forest Alliance have attended the annual general meeting of FSC’s Australian arm in Melbourne to demand an investigation into how a fly-in fly-out FSC auditor could have comprehensively ignored information from local stakeholders about how FPC is failing to meet FSC’s high standards,” said Wilderness Society national forest campaigner Warrick Jordan. “It’s crystal clear that FPC is planning to log old-growth forest without even bothering to properly identify it. UK-based FSC auditor Woodmark has ignored evidence about old-growth logging, impacts on the threatened Forest Red Tailed Black Cockatoo, and hasn’t even considered that South West WA is one of 35 official global biodiversity hotspots. “It’s clear the rules of the world leading FSC standard are being breached in WA. Local volunteer conservationists have gone to extensive efforts to provide information to FSC auditor Woodmark but have been ignored. “Local conservationists have followed FSC’s complaint processes and the UK-based auditor has ignored their concerns. It’s now clear that FSC’s auditing body Accreditation Services International and the Australian FSC branch in Melbourne have to step in to sort out the mess Woodmark has created. Members of an environment group who revealed evidence of rainforest clearing in East Gippsland, in south-east Victoria, have been threatened with prosecution. After being tipped off by the Goongerah Environment Centre (GECO), the Department of Environment found VicForests had needlessly destroyed rainforest canopy on the Errinundra Plateau. The state forestry compliance officer has now threatened to prosecute members of GECO for trespassing in the disputed logging coupes. Ed Hill from GECO said he was shocked by the threats. "Quite frankly we're disgusted that the Government would threaten to prosecute community members for getting out there and basically doing the work that the Government is meant to be doing and holding VicForests accountable to state laws that protect unique environmental values, like rainforest," he said. Mr Hill said he had asked for Environment Minister Lisa Neville to intervene. "She had a scathing assessment of the rainforest logging and on VicForests and their conduct in that operation, so we're really surprised that the Government wants to take further steps to prosecute community members for the work they're meant to be doing," he said. The Environment Minister has referred the ABC's enquiry to another Government department. The deal announced today to lower the Renewable Energy Target from 41,000 gigawatt hours to 33,000 gigawatt hours, to fully exempt trade-exposed industries from the target, and presumably to include the burning of forest waste, is a shocking betrayal by the Liberal, National and Labor parties. The deal is the work of politicians who either don’t believe in climate change, or do and don’t care about it all that much. Nor do they care much about Australia's most precious forests seeing as this deal increases the likelihood of the trees now being chipped for firewood. The deal is also the work of politicians who seem to be incapable of grasping the urgent need for Australia to adjust for the future global economy where reliance on clean energy will be good for business, and where countries developing and exporting the relevant technologies will profit handsomely from doing so. Good politicians, women and men with vision and backbone, would see the merit in the Australian Youth Climate Coalition's Safe Climate Roadmap which sees Australia eventually achieving 100 per cent renewable energy dependency, and in propositions from others who make the case for at least 90 per cent renewable energy dependency by 2030. Plans to allow burning native forest waste to qualify for renewable energy subsidies under a revamped Renewable Energy Target are proving unpopular with voters in two marginal Coalition seats. Snap polling conducted by REACHtel for the Wilderness Society on budget night found less than a third of voters supported burning forest waste for power. The poll in Eden Monaro and Corangamite found voters largely supported a higher Renewable Energy Target than the 33GWh proposed by the federal government but many said they would be less likely to buy electricity from a company that produced it from burning forest waste. The issue of forest waste for power has been a long-running controversy fuelled by fears that burning forests could become a low-value replacement for woodchipping which has suffered a collapse in world markets. Under existing legislation, forest waste has a broad definition and can make up more than 80 per cent of the forest harvest. “This 11th hour inclusion of so-called wood waste in the RET scheme has nothing to do with promoting a transition to renewable energy and everything to do with propping up a native forest logging industry whose economic model is broken,” Wilderness Society national campaign director Lyndon Schneiders said. “The industry is looking for a replacement for the collapsed native forest woodchip industry and is once again putting its hand out for a new subsidy through the Renewable Energy Scheme,” he said. Mr Schneiders said polling showed voters in key Liberal marginals did not support the plan. In Corangamite, only 24.2 per cent of those surveyed said they supported the federal government plan with 50.1 per cent opposed and 25.7 per cent undecided. Among Liberal voters, support for the forest waste plan was 41.2 per cent with 23.4 per cent opposed and 35.4 per cent undecided. More than 45 per cent of Corangamite voters, including 21.1 per cent of Liberal voters, said they would be less likely to vote for a party that allowed the burning of native forest wood waste as part of the RET. In Eden Monaro only 29.6 per cent of voters supported the federal government’s plans with 44.6 per cent opposed and 25.8 per cent undecided. Among Liberal voters support for the forest waste plan was 52.4 per cent with 17.4 per cent ­opposed. Forty-three per cent of Eden Monaro voters, including 16.7 per cent of Liberal voters, said they would be less likely to vote for a party that allowed for the burning of native forest wood waste as part of the RET. The federal government reached a compromise target with Labor late last week for the renewable energy target of 33GWh. However, negotiations have since broken down due to the federal government’s inclusion of forest waste and the retention of two-yearly reviews of the renewable energy target. Supporters of bio energy claim debate about forest waste has stalled a promising industry for renewable energy. He said to chip and transport the necessary large amounts of forest residues would be too ­expensive. I grew up near the Australian Paper Mills. My family listened to its drone, smelt it, even earned by it. I also love a tiny pocket of temperate rainforest close by, Tarra Valley/Bulga Park, where lyrebirds call ("National park moves a step closer to reality", 3/5). The loss of a great Mountain Ash tree cannot be weighed against giving a human the job of cutting it down. We are all going down if we frame it like this. Using the word "environmentalist" reduces and stereotypes people who support a healthy ecosystem in this Great Forest Park. As the federal government's "Australia, State of the Environment Report" 2006 states: "The environment is everybody's business." The question is what will a Great Forest National Park mean? The possum is close to its heart but untold benefits for people are built into this genuinely sustainable proposal. It is designed for the future – to generate jobs, restore habitat, bring great healthy outdoor recreation to Melbourne's doorstep and create a tourist destination to rival Phillip Island. All this, in Australia's most environmentally depleted state.